Don’t like waiting for custom? Check out our Quick Ship LC Raptor options. 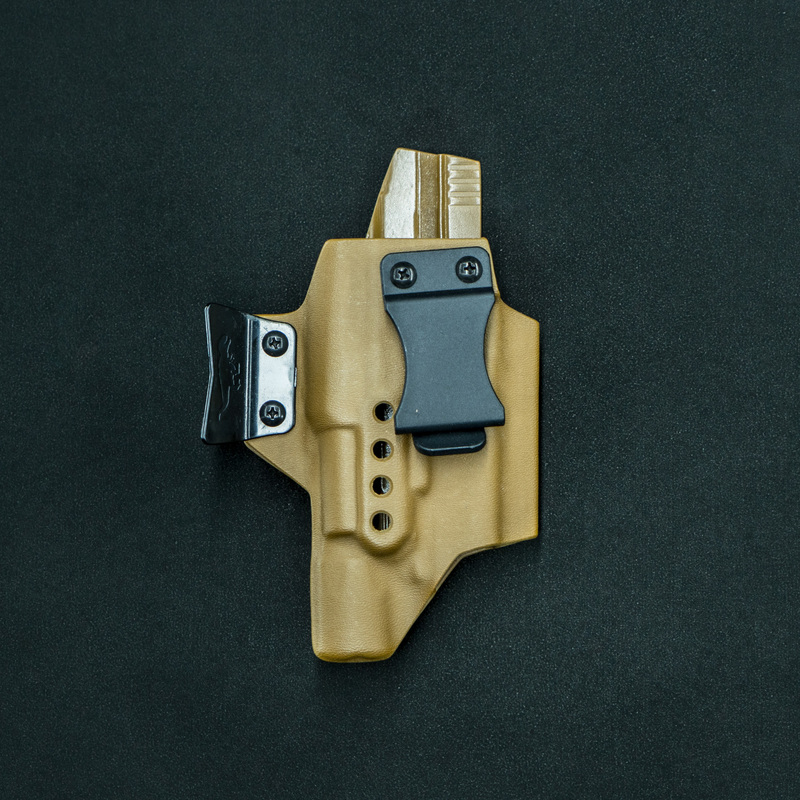 This version of the Raptor is an innovative solution for carrying a firearm with a weapon light inside-the-waistband (IWB). It features variable retention, so you can customize the draw to your exact preference. 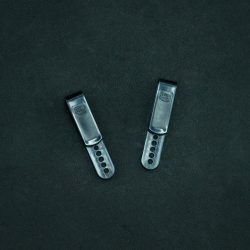 The Light-Compatible Raptor comes with two different attachment clips that are mounted at zero cant, optimized for appendix carry. 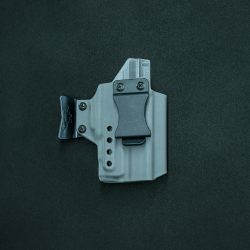 It also comes installed with our Raptor Claw, which makes carrying more concealable by pulling the grip tighter to the body, or it can be removed for more comfortable 3-6 o’clock carry. 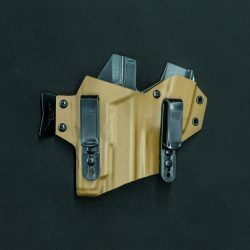 A Raptor Claw, IWB Quick Clip, and IWB Tuckable Clip are included with this holster. Note: the Light-Compatible Raptor only works when a weapon light is mounted onto the firearm. For the non-light-compatible-version of this holster, click here. Coyote brown Raptor for this Glock 19 and Surefire X300U, with a mid sweat guard and optic cut. To accommodate a slide mounted optic, like the Trijicon RMR or Leupold Deltapoint, choose “Optic Cut” under options. It’s difficult to give a simple yes or no answer to this question, because everyone is a little different. However, there are lots of larger folks who use and like the Raptor. 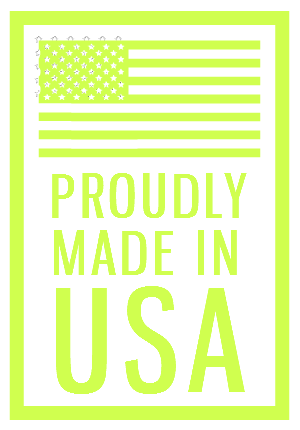 Whether or not it works for you depends on what you wear, how tight your belt is, and your personal preferences about comfort. How tight can this Raptor get? 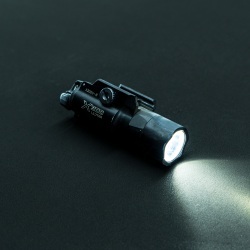 While the light-compatible Raptor won’t be as tight as a regular Raptor due to the weapon light compatibility, it can still be adjusted to be pretty tight. The particular weapon light the holster is made for can also affect overall retention. 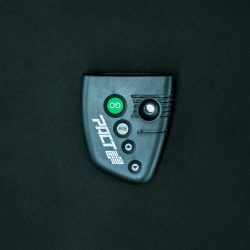 Retention can also be affected by being on/off the body and under a belt; so when your Raptor arrives, be sure to test on the body and play around with the screws. Which shirt guard height do you all recommend? We recommend the mid guard. 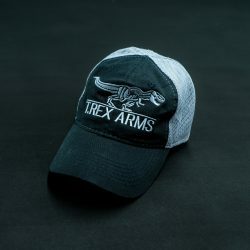 It helps with re-holstering, helps keep your shirt out of the holster, and once the pistol is removed won’t jab your stomach as much as a high guard. Light grey Raptor for a Glock 19 and Inforce APLc, shown with a Tourniquet, Tuckable Clip, and Streamlight ProTac 2L-X flashlight. Retention:Two screws beside the trigger guard side can tightened or loosened to either add friction or click. 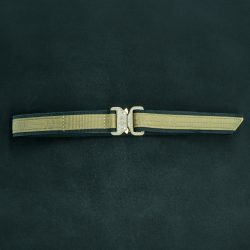 Be sure to test this on-the-body, as belt can affect retention. Just play around with them to find that sweet spot. Ride height: the Raptor comes with two clip options. 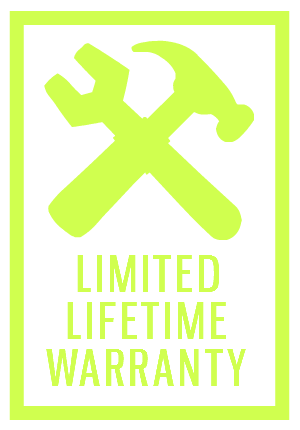 The quick clip (pre-installed) adds stability but cannot be adjusted or allow for cant. The Tuckable Clip provided can be mounted and adjusted using the two screws below the Raptor Claw for different ride height. 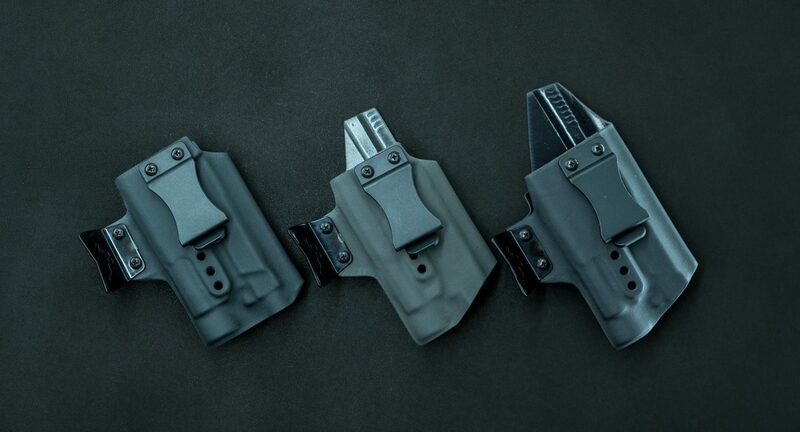 Grip tuck: The pre-installed Raptor Claw can be placed in different depths on the holster, to pull the grip to or from the body, or altogether removed. If carrying elsewhere than appendix, the claw can be removed. Raptors can be ordered with three heights of guard in the back. The guard aids in reholstering and keeps some sweat off of the slide. Low, mid, and high shirt guard heights are shown here. 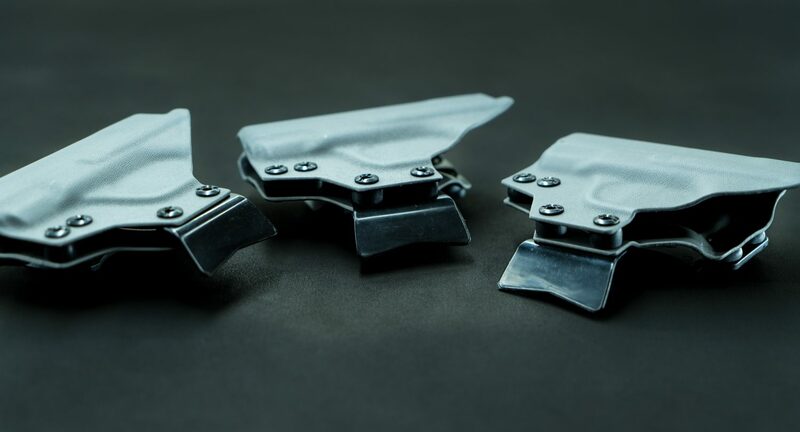 All Raptors come standard with a Raptor Claw, which you can customize to your preferred depth in order to best conceal your handgun. Shown here are three different Claw depths on Shield Raptors. Raptor with Tuckable Clip attached. Each Raptor comes with one of these. 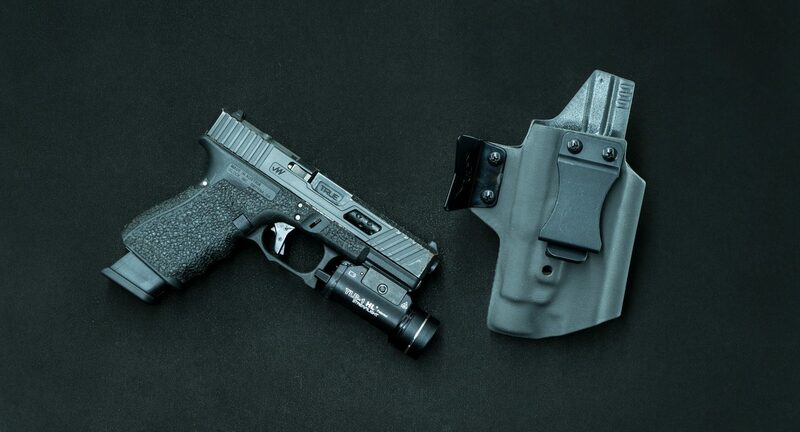 Glock 19 (with Glock 17 magazine) and Streamlight TLR-1 weapon light, with a Raptor in dark gray with mid guard and optic cut. 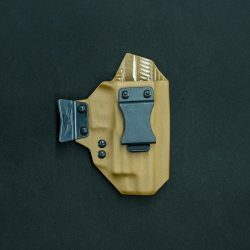 For the non-light-compatible-version of this holster (for guns without weapon lights), click here.